Earlier today, we talked at length about the differences between the unlocked and Verizon Pixel 2 and Pixel 2 XL. Because some of you came away from that post with a decision to pre-order one of the two phones from Verizon instead of the Google Store, we wanted to share a tip for those who want to do so without signing up for Verizon service. That’s right, you can buy devices from Verizon without ever signing up for one of their plans. Back in the day, Verizon used to run pre-orders and some full retail device sales through something they called the Iconic Portal. That has since been retired in favor of an actual pre-order site that sells almost all of Verizon’s phones at all times, not just when they are up for pre-order. 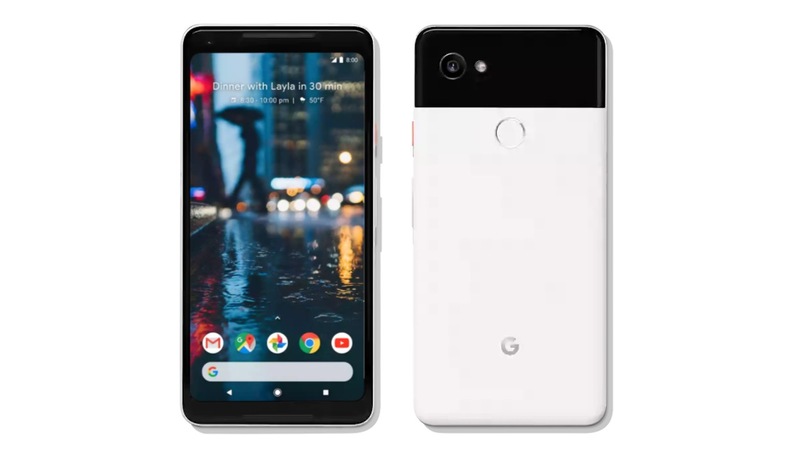 While this portal can be used for those of you with Verizon service, it really does come in handy if you aren’t a Verizon customer and want to buy a phone from Big Red without a plan, especially when the phone is unlocked and works on other wireless carriers, like the Pixel 2 and Pixel 2 XL. UPDATE 10/18: Verizon is a bunch of big meanie faces and appears to have removed the option to buy a “Device only” without service. Feel free to give it a go using the directions below, but yeah, once again Verizon has decided to not let us have nice things. Choose to “Continue as Individual” New Customer. Adjust the filters on the left side to find the phone you are looking for. You may need change the Availability filter to “All Devices” in order to get most to show up. Click on the phone you want and then add it to cart. Continue through past accessories until you get to Billing & Shipping. Enter your info there before moving on to the order review page. Keep in mind that once you click “Submit,” it’ll charge you and complete your order, even though this isn’t that clear and you may think there is one extra step. Once complete, you’ll get an email confirmation, followed by additional emails when your phone has shipped. Wait, how does this not sign you up for service? At no point does the process state that you are signing up for service nor are you agreeing to any sort of contract. You are buying a “Device Only.” Verizon will assign you a phone number with your order when it ships and include a pre-inserted SIM card, but no service or contract has been agreed upon. In other words, they would still need you to actually sign-up for service once your device arrives. As an example, I can tell you that I bought a Verizon Galaxy Note 8 this way just a few weeks back. They assigned me a random phone number and included a SIM in the phone, but I just took the SIM out, threw it in the garbage, and tossed in my own active SIM once it arrived. I’ve never heard from Verizon again with regard to that assigned number and that old SIM. My guess is that them preloading a SIM and assigning a number should just help you with the setup process, assuming you do want Verizon service. Since you are ordering this way, I’d assume you don’t. Of course, this method only allows you to buy phones at full retail, so keep that in mind.